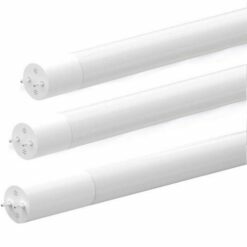 Ballast compatible and ballast by-pass dual end power LED Tube lights. Length selections include 2 foot, 3 foot, 4 foot and 8 foot. CCT options 3000K, 3500K, 4000K and 5000K. UL and DLC listed. Instant on, no flicker illumination. 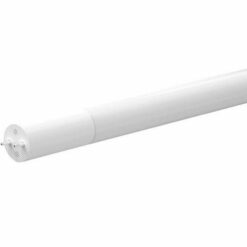 Dimmable 0-10vDC option. Full glass housing, which inhibits yellowing and light distortion. L70 rating of 90,000 hours. Case Qty 25 pcs. Always follow installation instructions to comply with fixture UL listing including shunted and non-shunted tombstones.